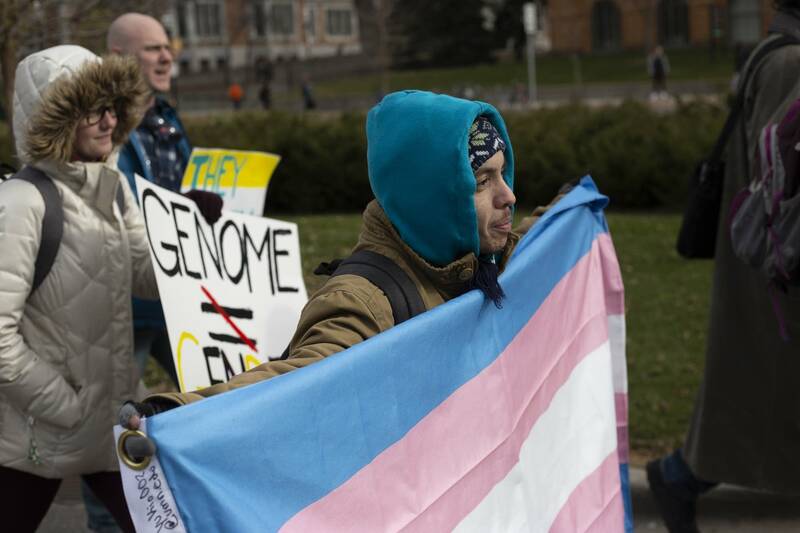 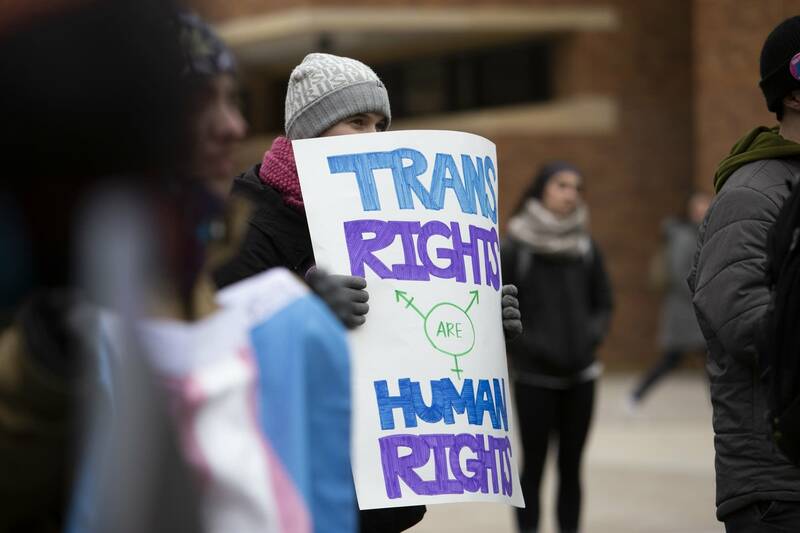 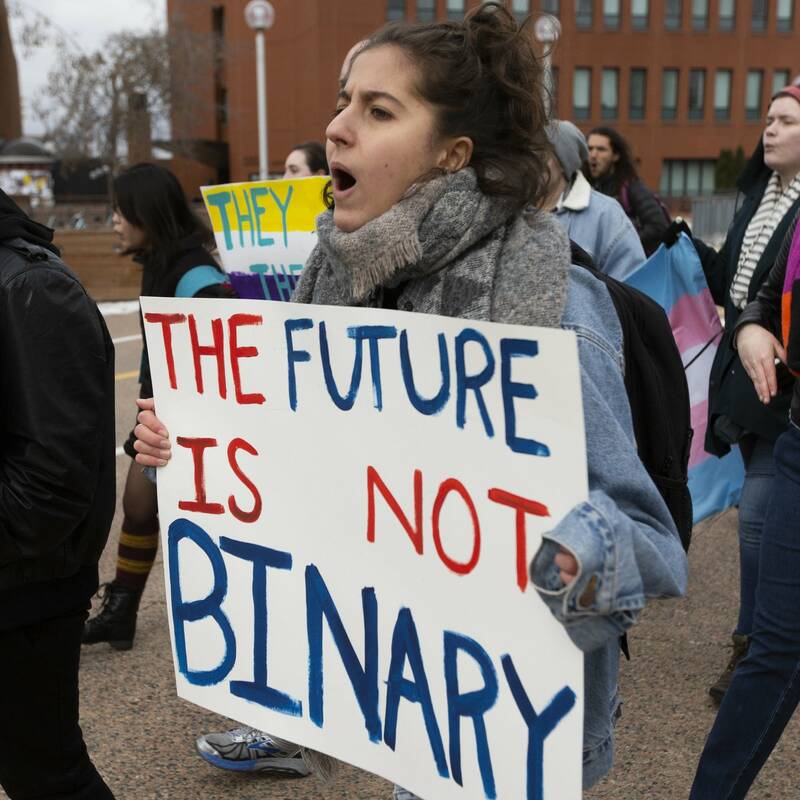 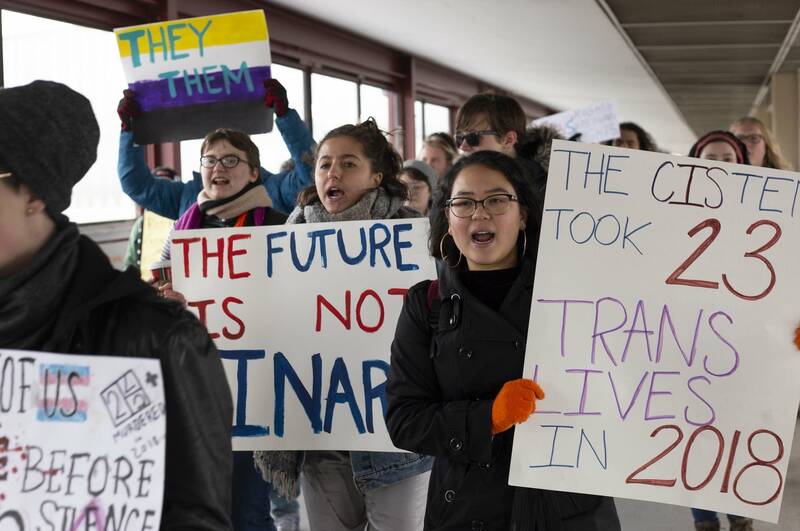 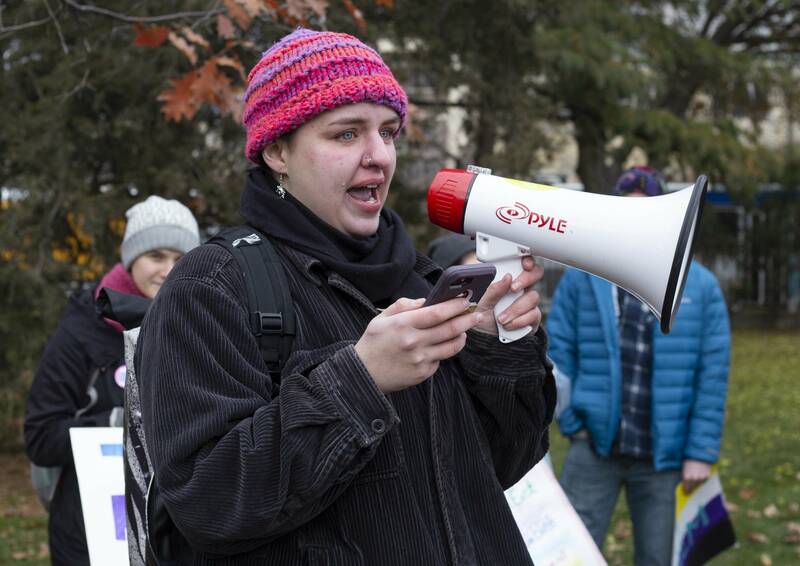 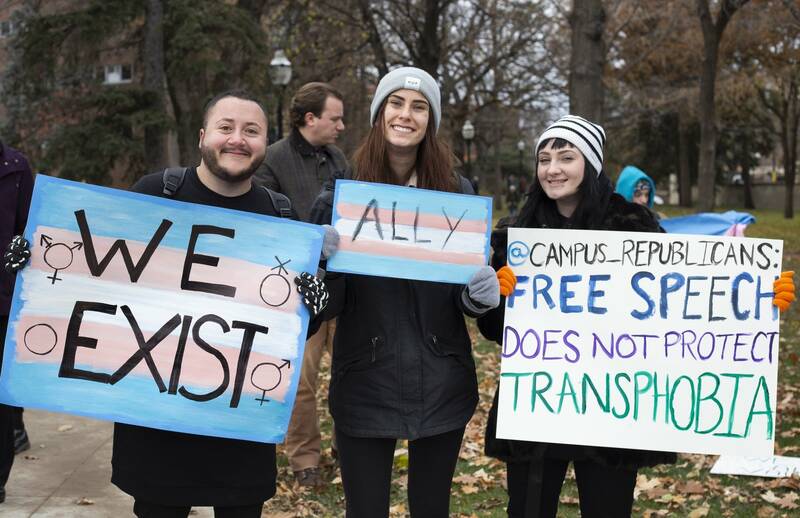 A group of about 60 people marched through the University of Minnesota campus Thursday in support of transgender and nonbinary individuals' rights on campus. 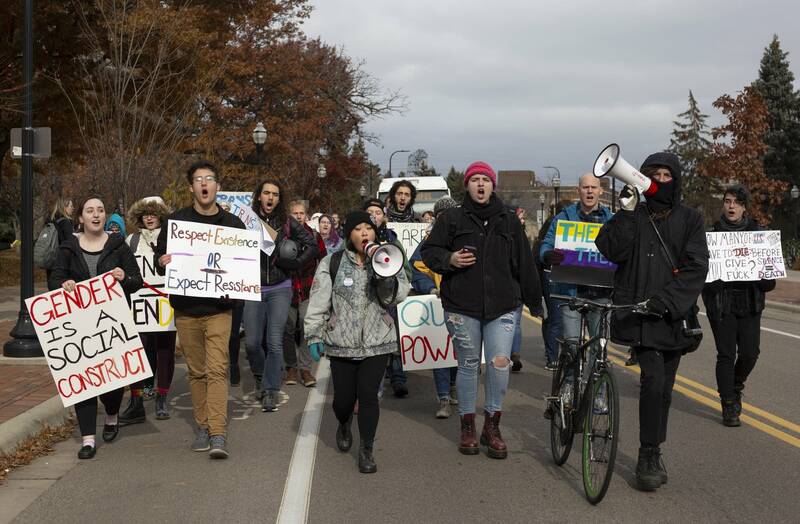 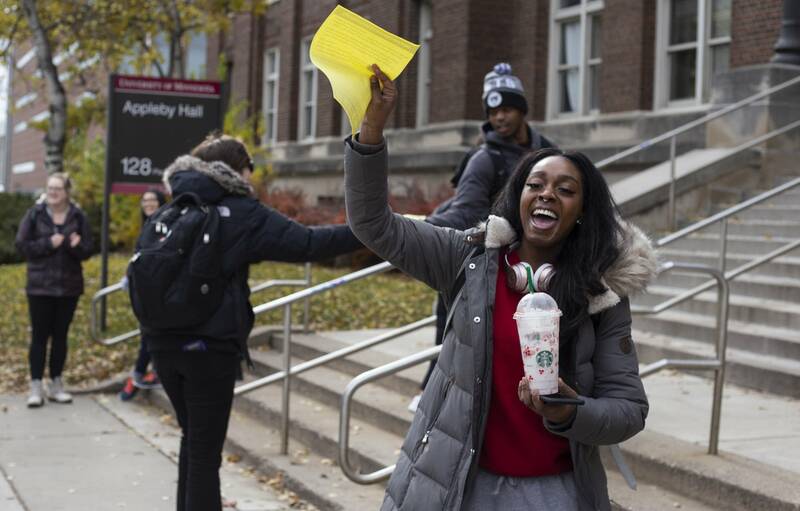 The march, dubbed "We Will Not Be Erased," was largely in response to a statement by the university's College Republicans student group painted on the Washington Avenue Bridge. 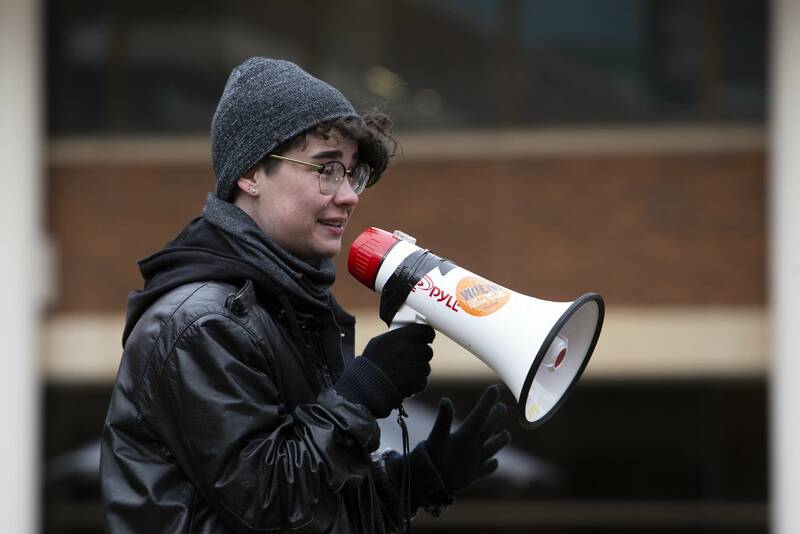 The message read, "The proposed pronoun policy mocks real social issues," which the marchers called "hate speech". 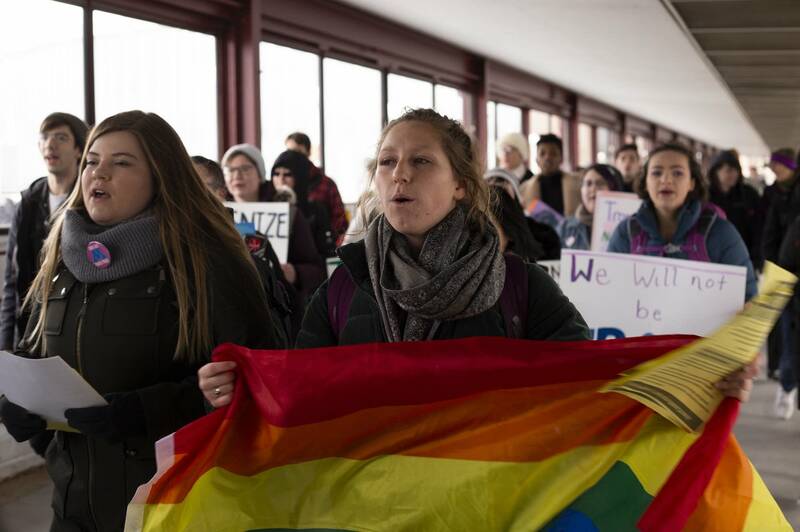 The message was vandalized, the school's newspaper reported, and the university removed it from the bridge. 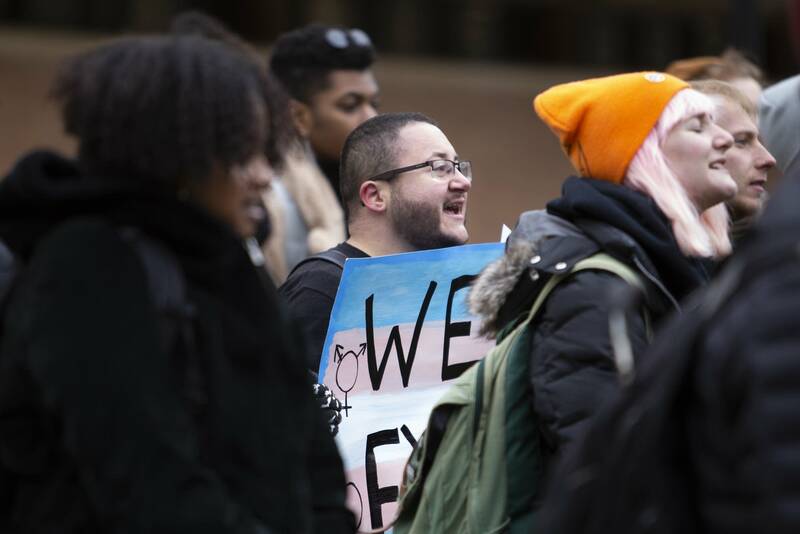 Now, a petition is circulating that calls for the U's administration to take action against the College Republicans for violating the student conduct code, update its pronoun policy and edit the Board of Regents' discrimination policy to protect against transphobia.